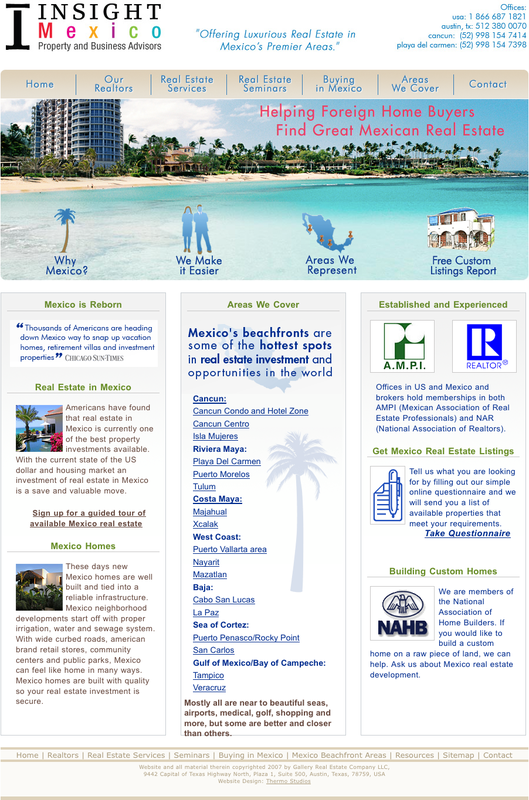 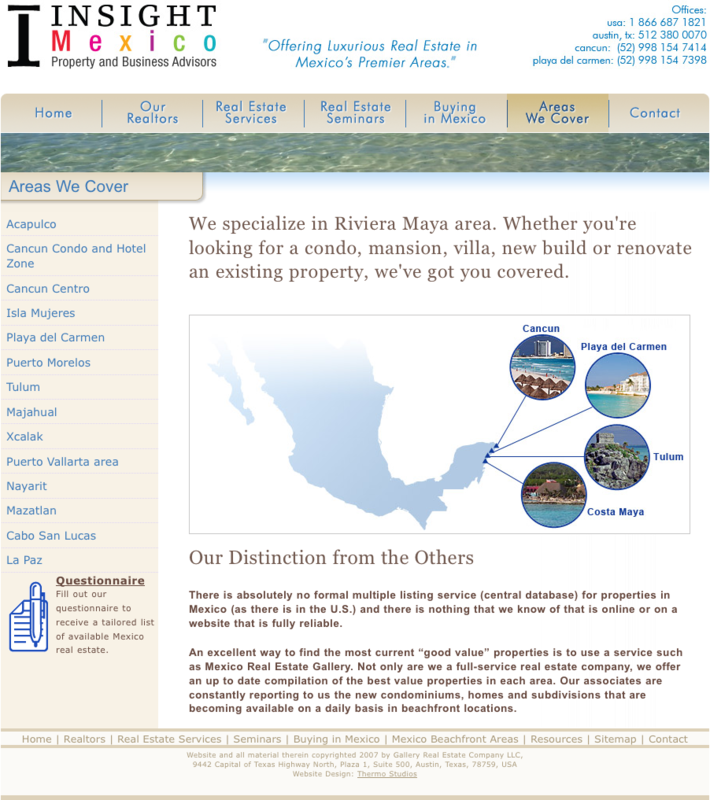 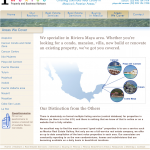 Insight Mexico is the first of a series of real estate websites for the client. 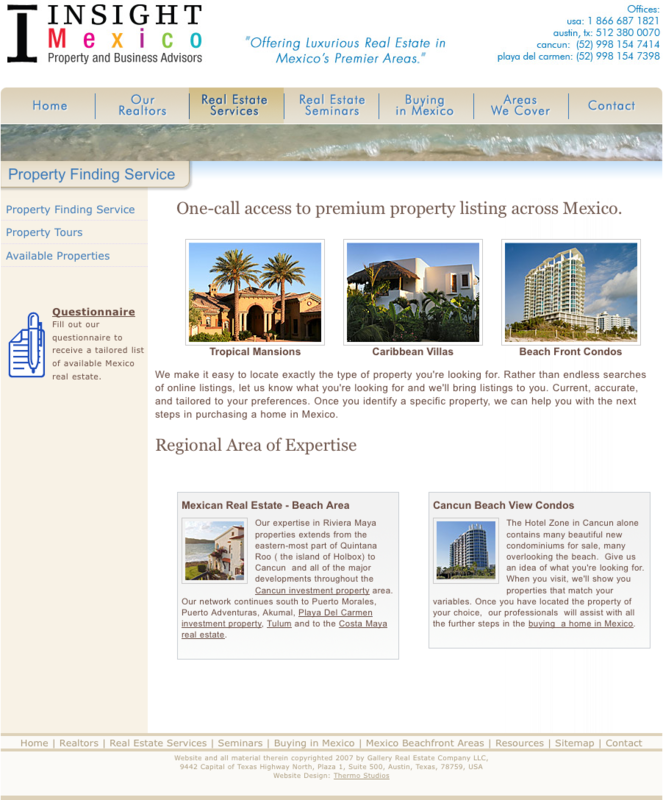 The business’ goal was to make a brand and a website that could be replicated several times for various areas of the real estate industry to aid in the company’s agility and adaptability to trends in the global real estate market. 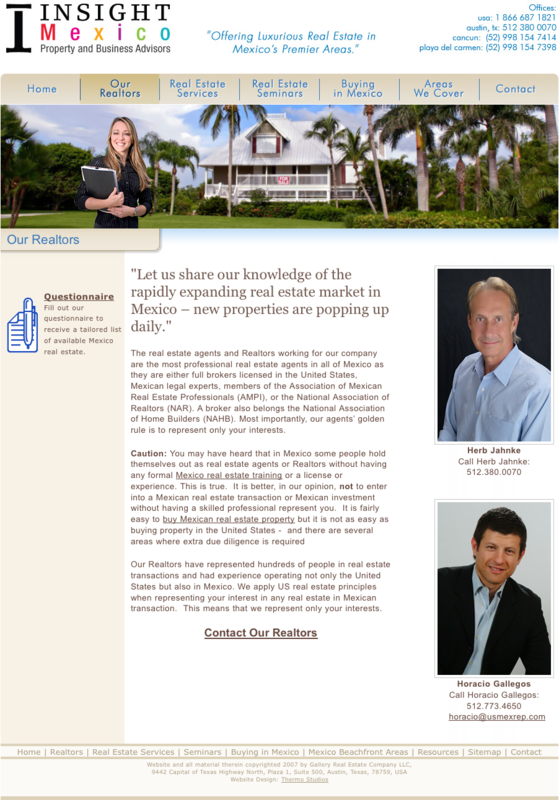 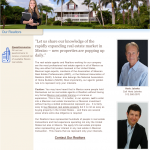 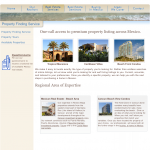 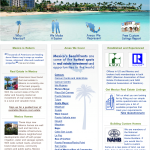 This realtor web design template proved to be successful, spawning several more real estate websites from its design. The Insight Mexico website design also proved to be successful in regards to grabbing users’ attention and compelling them to take action by showing the company’s focused expertise in specific areas while also providing several different ways to take action and contact the realtor.